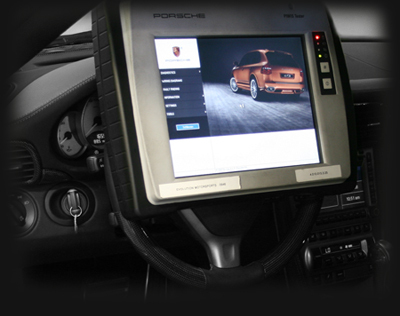 [EVOMSit] offers a wide variety of software upgrades and services primarily for high performance European automobiles. Our 25,000 sf tuning and engineering facility features a state of the art All-Wheel-Drive Mustang 500 SE dyno cell with proper ventilation and and wind tunnel type cooling fans. We have developed our own cooling towers which provide the required airflow to simulate driving condition for a wide variety of different vehicle applications. Our purpose built tuning center features over $1M in the finest OEM and [EVOMSit] proprietary diagnostic tools, testing equipment, computer simulation systems and multitude of other automotive related testing and tuning equipment including the OEM tools from the different automobile manufacturers. We employ and work with the finest automotive software engineers and automotive technicians that utilize their years of knowledge working for OEM manufacturers as well as with professional racing teams / engineers. The combination of our staff, equipment, facility and our unparalleled experience, clearly sets [EVOMSit] apart in the world of aftermarket automotive software development and tuning. At [EVOMSit] we do not provide “gimmick” software options or “over sell, under deliver” hype. The [EVOMSit] team spends 100% of our precious research and development time engineering and delivering the highest technology product with pure crisp power delivery, Period! 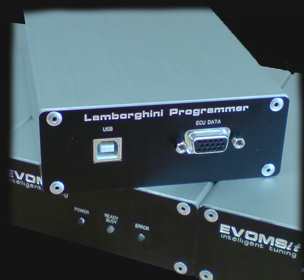 [EVOMSit] software with our “Integrated Switching Technology™” (IST) and “Sport Pedal™” (SP) features integrated into the OEM ECU are far more intelligent than other companies software with manual switching or any aftermarket stand alone ECU’s. Our simple philosophy is providing the best performance automotive software which has been designed and optimized by enthusiasts for enthusiasts. 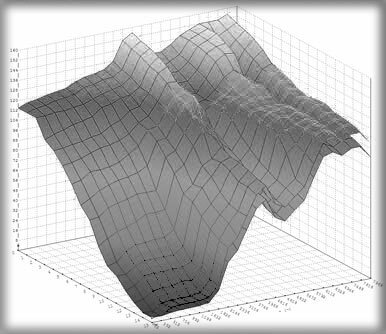 Simple, Intelligent Tuning……optimized. CAUTION: [EVOMSit] Performance software is not for everyone. Our software has been developed for the true performance driver that demands pure and optimized performance without extra “fat”. We do not spend our precious R&D time developing software “options” that quite frankly, in our opinion, are ridiculous. What enthusiast needs a “valet”, “ignition kill” or a “firewall protection” program? Many companies offer these types of options which cost time and money to develop, time that could be spent making their performance software optimized. *Vehicle must be calibrated at our headquarters in Tempe, Arizona. This service includes door to door transportation as well as a full insurance policy for the vehicle. Please contact us for more details. IST is an OEM feature that is built into the factory ECU and allows for automatic switching of ignition timing maps based upon input received from other engine sensors. Available for certain [EVOMSit] performance programs, the [EVOMSit] IST programming incorporates this intelligence for true and safe flexible power without compromise. The [EVOMSit] ECU tuning utilizes the multiple OEM ignition tables that are progressively staged and we modify them to our performance specifications, which can optimize safe performance based upon outside conditions and different octane fuels. The ECU automatically switches to the best-suited ignition map creating an automatic “race mode” if race fuel is utilized. This IST function is always active and will switch automatically without having to make any physical changes. IST is far more intelligent than any manual switcher found on the market. The use of manual switchers can cause serious engine damage if accidentally switched to a “race mode” without having adequate octane levels in the car. This manual type of switching technology physically locks the timing map and can over ride the ECU’s ability to protect itself if unfavorable conditions arise. This manual switching is archaic considering that OEM ECU has the ability to analyze conditions and switch timing maps automatically. [EVOMSit] with IST is the intelligent way to utilize ECU timing map switching. All E-Gas (drive by wire) cars from model year 2000 and newer have an electronic throttle valve, which is controlled by the cars ECU. Available in certain [EVOMSit] performance programs, [EVOMSit] Sport Pedal™ (SP) feature changes the ratio of accelerator pedal movement verses opening of the throttle valve which will increase throttle response. By modifying these maps in the ECU calibration, throttle response is drastically improved and the “throttle delay” which is a common complaint among enthusiasts is eliminated.